Shown here is a digital mosaic of Olympus Mons, the largest known volcano in the Solar System. 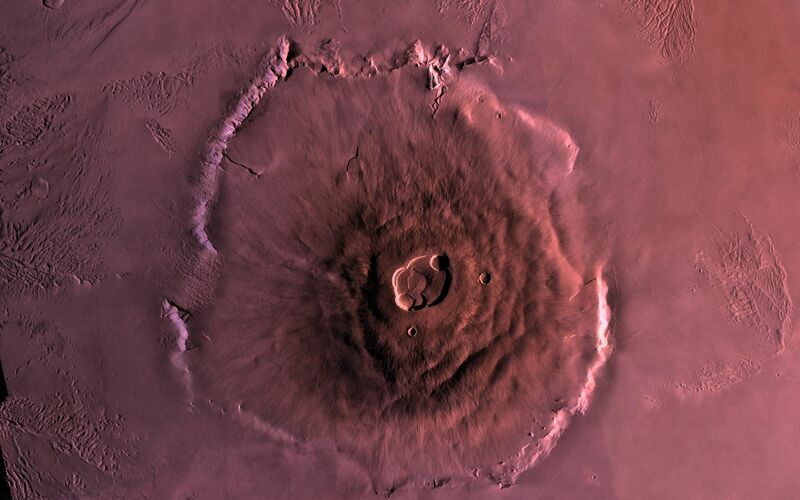 It is 27 kilometers high, over 600 kilometers at the base, and is surrounded by a well-defined scarp that is up to 6 km high. Lava flows drape over the scarp in places. 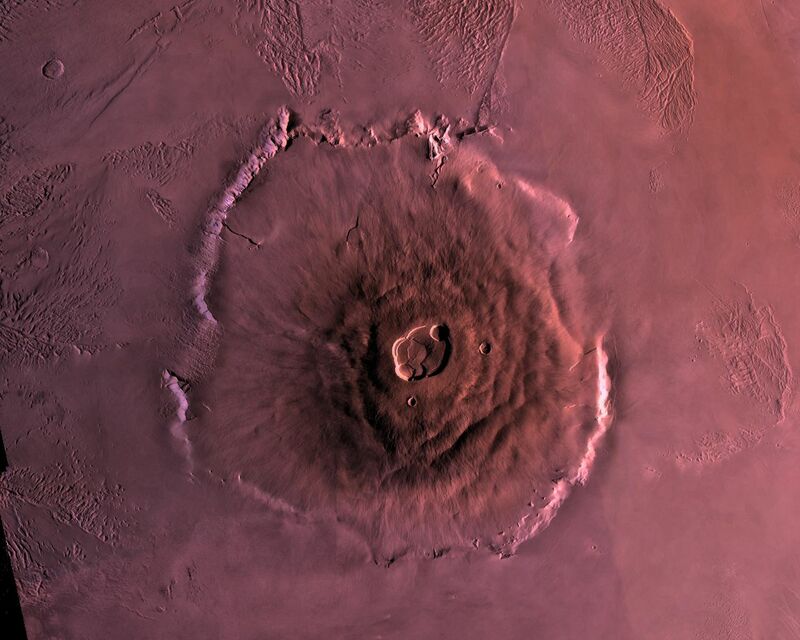 Much of the plains surrounding the volcano are covered by the ridged and grooved 'aureole' of Olympus Mons. The origin of the aureole is controversial, but may be related to gravity sliding off of the flanks of an ancestral volcano. 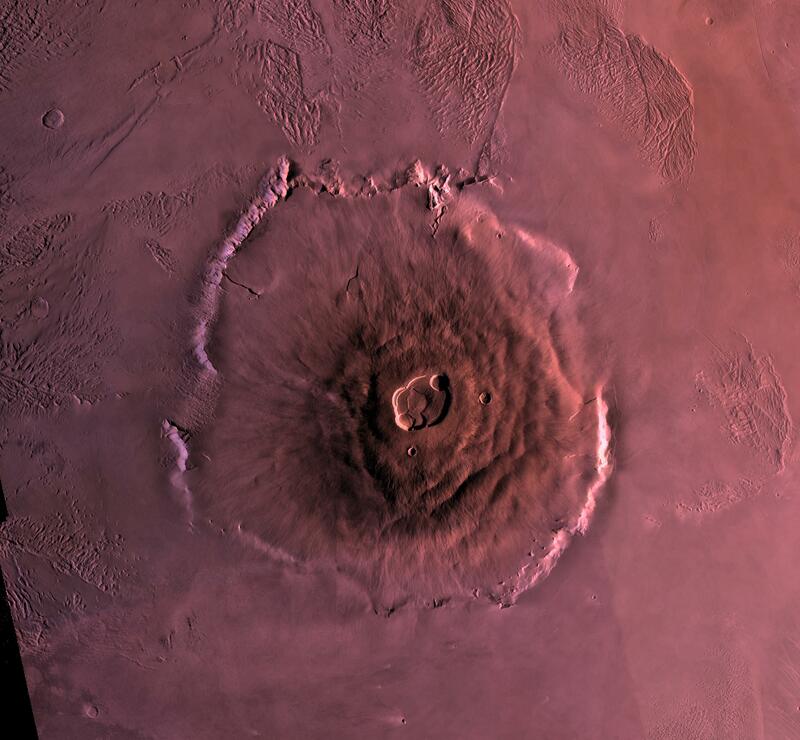 The summit caldera (central depression) is almost 3 km deep and 25 km across. 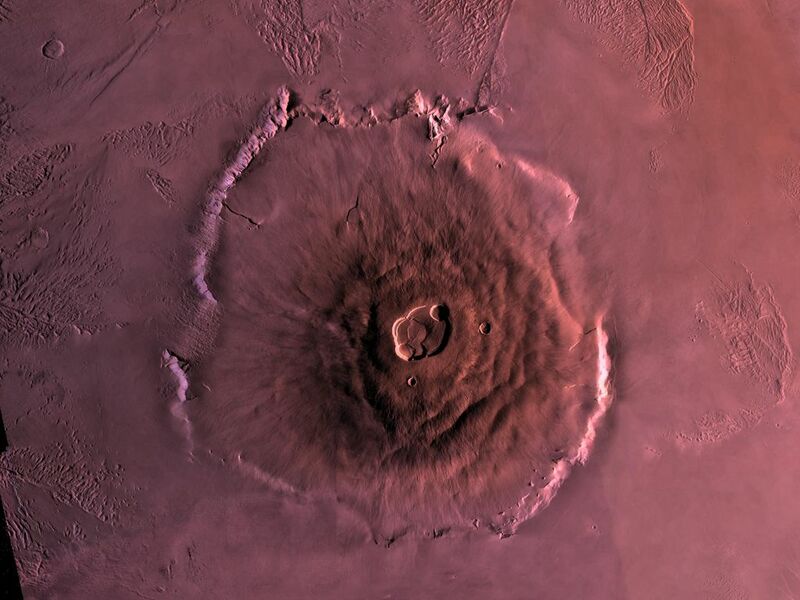 It probably formed from recurrent collapse following drainage of magma resulting from flank eruptions.